Katie Epstein found confidence in indie publishing and has learned the industry quickly. Read about her experiences with traditional publishers and why self-publishing is a better fit. fate of Centurias rests in their very hands. When you have finally put the last edit on your manuscript, there is a need for other people to read your story and share in the character’s experiences. It can be frustrating waiting for that one letter that will take you to the next level via the traditional route, and indie publishing gives you the opportunity to put yourself out there to dedicated readers who will give you a true critique. I have only sent my manuscript off to a dozen publishers, because I put too much of myself into the process and took all rejections personally. No matter what people tell you about it all being part of becoming published, it can still hit you hard if you let it, and unfortunately I let it. Through this learning curve I have realized that no one will take you seriously as a writer if you don’t take yourself seriously first, and to do that you have to have confidence in your capability. Going through the indie publishing route has given me my confidence, so I can try the traditional publishing route again in the future as I learn more about the industry. There is so much to learn about self-publishing, but I have learned that there are so many people and sources of information out there to help you. Social networking plays a big part in the self-publishing world, and I like how you can promote yourself as part of your daily updates. It’s as if someone has opened a door to a new world and it is definitely an evolution in the world of writing. 5. If you could do one thing differently in publishing your books, what would it be? For me it is definitely broadening my knowledge to have the confidence and self-discipline for marketing my book more effectively as I test the waters of self-publishing. The networking side is great to get your brand out there, but for me it is learning more ways to get my book out there to the readers so you can learn and develop as a writer. 6. What projects are you working on? I am currently working on my next novel, The Quest of Thorayen. It is a fantasy adventure based around a group of six individuals who come together with their different agendas to complete a quest, knowing to balance the light and dark once more they must combine their efforts if they are to succeed against the evil that haunts them. I aim for this to be out by the end of 2012. 7. If you could market your overall brand in one sentence, what would it be? A world of fantasy where the possibilities are endless. To learn more about me and my writing, you can visit my website at katieepstein.com. 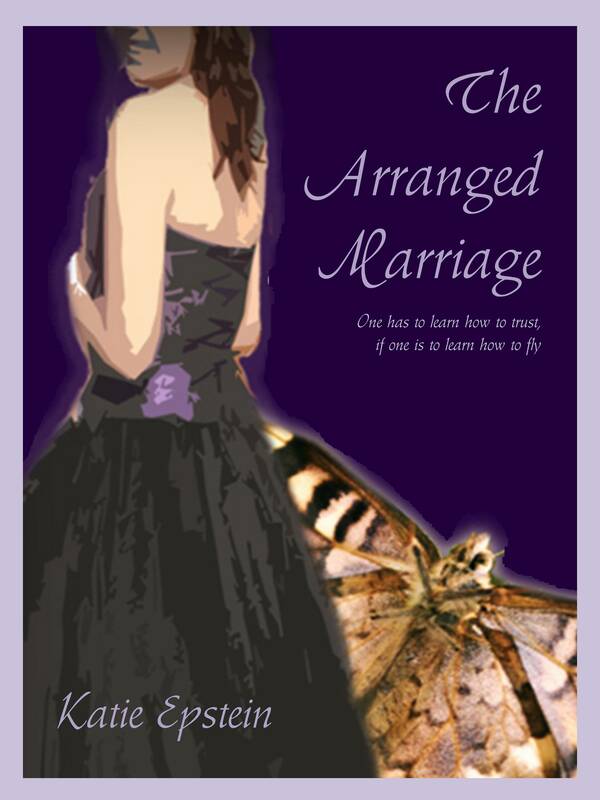 To purchase The Arranged Marriage you can visit amazon.co.uk, amazon.com and lulu.com.